#2 came across this innovative recipe and decided to surprise her siblings with it. It's really very simple to do. Step 1: Cook the sausages. Step 2: Cut them up into small pieces. Step 3: Poke about 6-10 strands of spaghetti into each sausage. Step 4: Prepare a pot of boiling water. Add some salt. Step 5: Put the spaghetti into the water and cook for about 10-15 minutes. 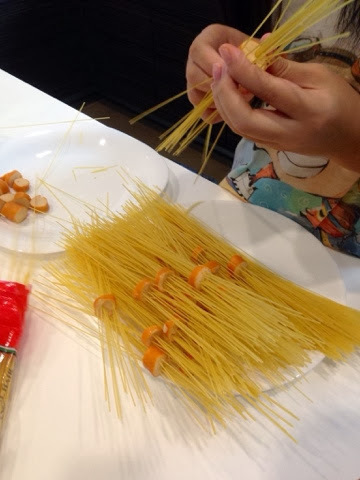 Step 6: Remove the spaghetti and drain. Step 7: Ready to serve! 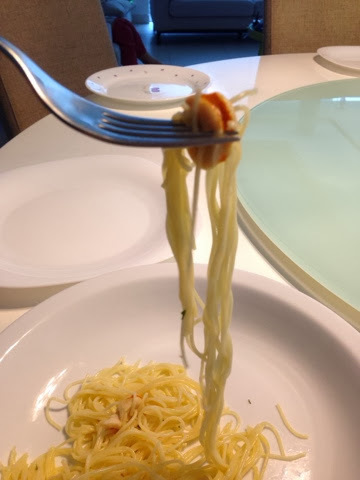 The cool thing is that it's very easy for the kids to eat as they just need to poke their fork into the sausage and the spaghetti will follow. Sane tip: The kids would be happy to help out with this one. 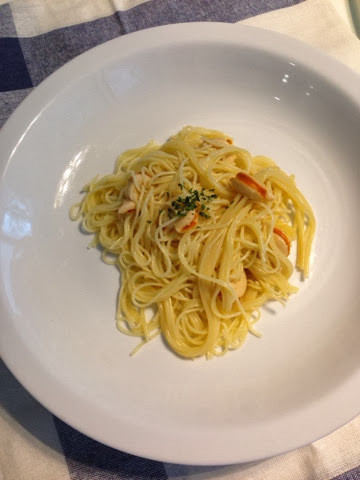 You can be sure that there will be no spaghetti left at the end of the meal! Great for parties too. Save tip: Quick, easy and cheap to make. Enjoy!